Looking for something a little less traditional? 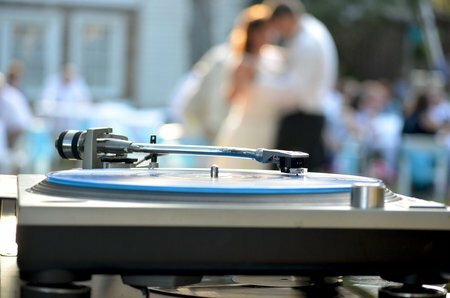 Check out these modern wedding songs! When preparing for the big day, one of the biggest sources of tension is picking out a wedding song. Where in most cases men like to stay out of the way of planning, this is a decision that should be made by the both the bride and the groom. Most people pick the traditional songs like The Way You Look Tonight or Can’t Help Falling in Love but today’s bride want something a little more modern. Whether it be a band or a DJ the options for songs are endless. Here is a list of some great songs that you might have heard on the radio recently that would be great for those looking do something a little different! 1. I Won’t Give Up- Jason Mraz. This rather recent song is sure to explode on the wedding scene this year. If you are a Mraz fan also check out I’m Yours and Lucky. 2. Lego House- Ed Sheeran. Ed pretty much created an album of brilliant wedding songs. Listen to Give Me Love and Little Bird, as well as the rest of the album for some great love songs. 3. Little Things- One Direction. For obvious reasons some people might just count this song right out, but if you can forget it’s One Direction singing it for a minute, this is actually a fabulous choice for a wedding song. Fun fact: it was written by aforementioned singer Ed Sheeran, making it that much better. 4. Look After You- The Fray. Best known for their hits Over My Head and How to Save a Life, this song off of The Fray’s first album is swoon worthy. It’s a great combination of slow and upbeat and will be a sure crowd pleaser. 5. Us Against The World- Coldplay. This slow track is a wonderful romantic tune off of Coldplay’s most recent album. It a lovely and well-written song that would be perfect for your first dance! Also take a listen to Swallowed By the Sea and Till Kingdom Come. 6. Wanted- Hunter Hayes. For all of you country lovers, this song is a great upbeat song. It’s a perfect for the rustic wedding or backyard wedding. Check out the rest of his albums as well! 7. A Thousand Years- Christina Perri. This song is probably best known for being part of the last Twilight movies, but it’s an incredible love song that is beautifully sung. Also listen to her other song Arms for another great choice! 8. Your Song- Ellie Goulding. Even though this song is an original Elton John song, Ellie Goulding does a beautiful rendition. She sang it at the Royal Wedding! 9. Hey Ho- The Lumineers. This song is probably an obvious choice for anyone who has turned a radio on in the past three four months. This gorgeous folksy song is both fun and romantic, and everyone will be able to sing along! 10. So Easy- Phillip Phillips. This American Idol winner has put out a wonderful album full of great wedding songs. So Easy is a great choice, but also think about the popular tune Gone, Gone, Gone! Planning a Long Island Wedding? Check Out The Hottest Bridal Shows Coming to Town! Subject: LongIsland.com - Your Name sent you Article details of "10 Modern Wedding Songs!"